CLEVELAND, Ohio – Donald Trump won the Republican nomination for president in Cleveland during a momentous week in political history. On Thursday night, Trump gave a one-hour-and-fifteen-minute speech accepting the Republican nomination. The speech was so overwhelmingly well-received among the crowd that the media did not know what to do to tear it apart. Chyrons appeared on mainstream networks: “Trump Accepts Nomination.” Nothing scandalous. CNN late-night host Don Lemon’s face was distraught during his panel, as was the face of one-time Ted Cruz employee Amanda Carpenter. Lemon’s show would play on the screens at public places without any sound, which was appreciated by the attendees. The text was in reference to a CNN instant poll that was briefly displayed onscreen. 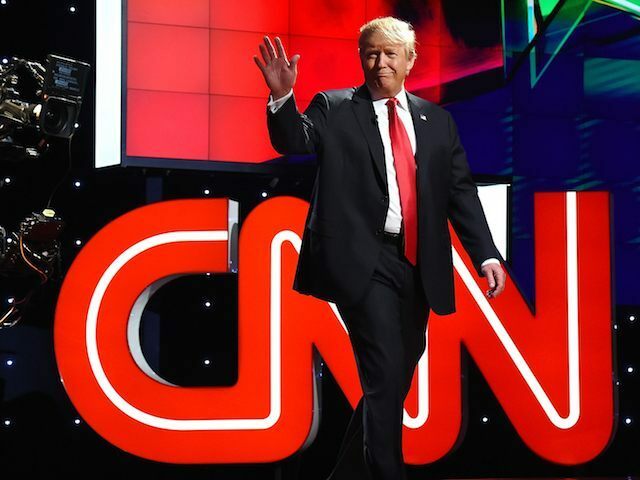 The numbers were accurate, which brings up one of the problems with instant polls: mainstream media networks have to end up downplaying and throwing cold water on their own poll results when they show support for Trump. El Pais, Spain’s highest circulation newspaper, said Trump’s speech offered a “grim vision of America.” While the UK’s Daily Telegraph described the speech as “deeply pessimistic” and said fact-checkers were “highly critical,” it highlighted a CNN instant poll that found that 56% of Americans who watched the speech responded positively. This reporter did not happen to meet anyone from El Pais or the UK’s Daily Telegraph in Cleveland at the convention – where a killer Neil Diamond cover band held court in the afternoon civic space next to the upper decks of the Indians’ ballpark. But CNN’s report is flawed: the 56 percent number was actually the lower of two numbers. The instant poll actually showed that 75 percent of Americans had a positive view of the speech, and that 56 percent would be more likely to vote for him following the speech. CNN apparently thinks so little of its own instant polling service that it buries the results in the bottom paragraphs of a tedious article citing the newspapers in Spain. The mainstream press, typically, failed to integrate in any meaningful way with the actual delegates, which the delegates appreciated.